We love getting feedback, whether it’s from our customers or industry experts, even if it is on the critical side because we know the importance of continuously improving our products. However, when we receive top ratings from top industry voices, can’t help but do a little happy dance. 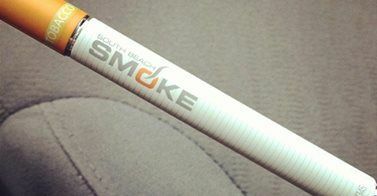 The latest ratings come from DigitalSmoke.Org, which has ranked us among the top 5 e-cigarette brands, and they have labeled us as one of the most stylish electronic cigarette products available. We are big on style, being from South Beach and all, and are very pleased to get recognition for our good looks. DigitalSmoke made a point of our products being very popular amongst the younger vaping crowd, who are looking for very stylish products, however they did not discredit our dedication to quality and the high level of performance that can be expected from using our e-cigarettes. They made note of our batteries having very long life, as well as being available in a variety of options. They praised our e-liquids and variety of flavors, as well as the number of available nicotine levels which offer a lot to our customers. Overall, they are pleased with our engineering, design, and the implementation of technology that has driven our success. Getting this kind of recognition from DigitalSmoke.Org is excellent news. They are one of the top electronic cigarette review sites, and they are known for constantly updating their information based on how brands change and the industry evolves. They are experts in the field of e-cigarettes, and they spend much time testing the best products available. Their staff is comprised of e-cigarette professionals, and they are well known for their unbiased reviews. We are thrilled to be named as one of the top 5 vapor cigarette brands, and we even more thrilled to be getting attention for having great style. So, thanks, DigitalSmoke.org for the love!